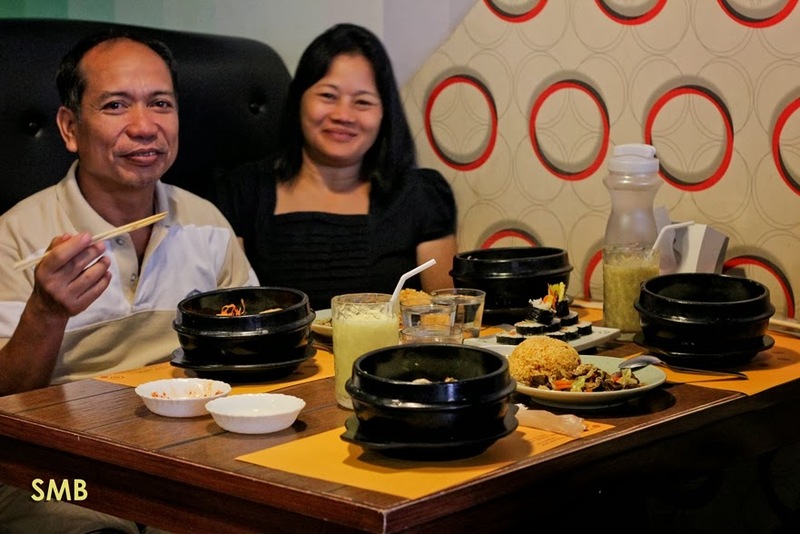 Searching for yummy but cheap eats has been one of my goals now ever since I started paying for my family's bill every time we went out for a meal. At the same time, I wanted to share with them my love for international cuisine. So far, a place that we often go to is at Banawe street. Banawe is famous not just for having that strip of car repair shops, but also for having a cheap buffet restaurant called Tramway. However, for those who have gone bored with their dishes already (like me), you can sample the plethora of eateries around the area. Most offer Chinese food due to the large Chinese community also living around the area, but the one that we frequent every so often is a small restaurant called Cafe Monaco. 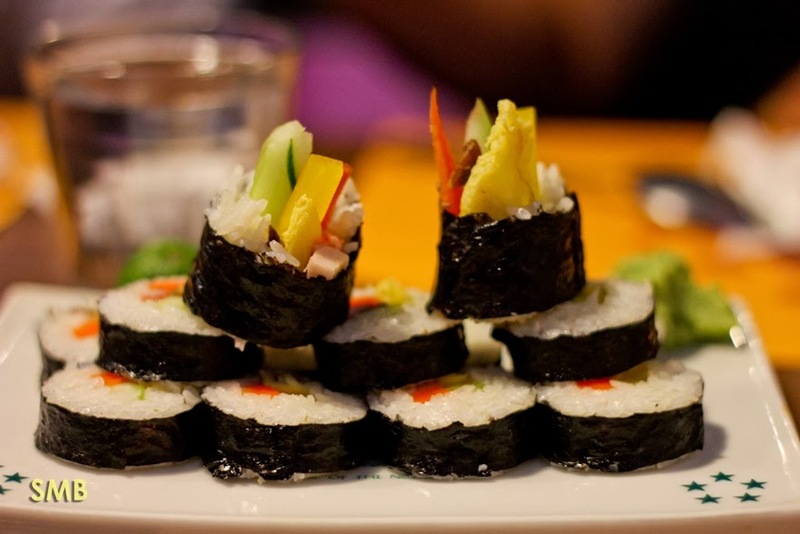 Café Monaco offers a good mix of Korean, Japanese and even Pinoy foodie favorites for very affordable prices. The restaurant is quite small, if I remember correctly, there are only six to nine tables, each one can sit four to six people. The staff is less than five, but they can manage even in crowded hours. My orders usually take about 15-20 minutes to be prepared, but their staff are always attentive on refilling our kimchi and danmuji (radish), both for free, while we were waiting for our food to be served. I really love their kimchi because it has the exact amount of spiciness. I have been here tons of times but I’ve never really asked if the Korean owners make the kimchi themselves. 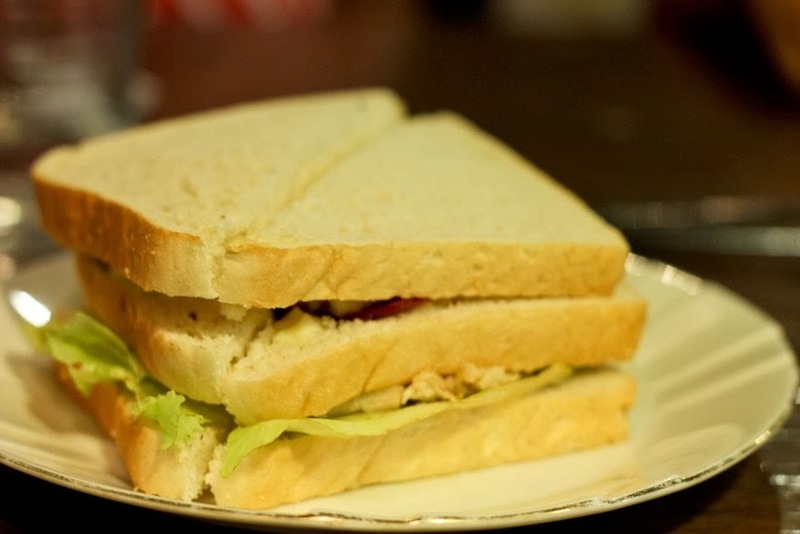 My mom would usually order their sandwiches, I have never actually tried them myself, but they were pretty good according to her. 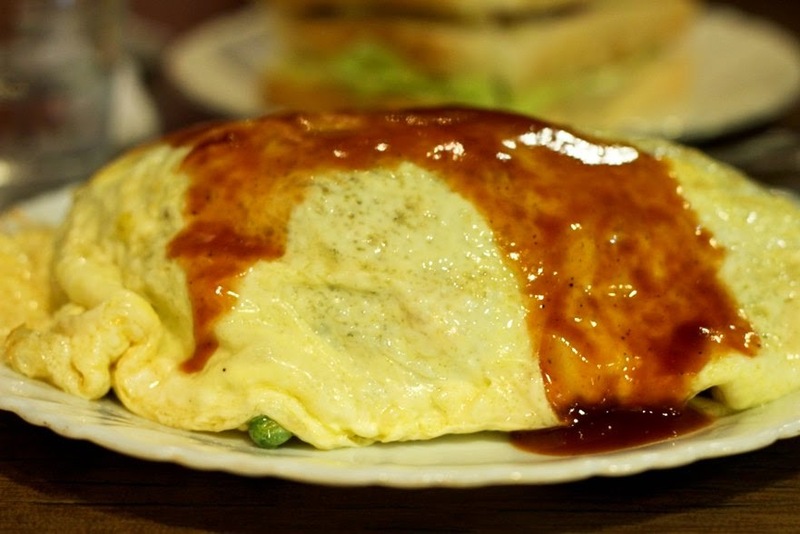 One of the Japanese dishes they have is the omurice (omelet rice), which is a very simple dish, but is offered cheaper compared to other Japanese restos in the city. The taste is comparable though nothing really outstanding. Their version of kimbap was very filling and tasty. I was also able to try kimchi jjigae, (kimchi stew) and it was really good! Probably one of the cheapest out there in Manila. As I have mentioned, their kimchis have that enough amount of spiciness which translates superbly into stew. Though I suggest you order this if you are in a group of 3 or 4 since you are not likely to finish this if you are a couple or solo. I would usually only get my favorite dishes when I go here. There would not be a visit that I would not get these two awesome grubs below. 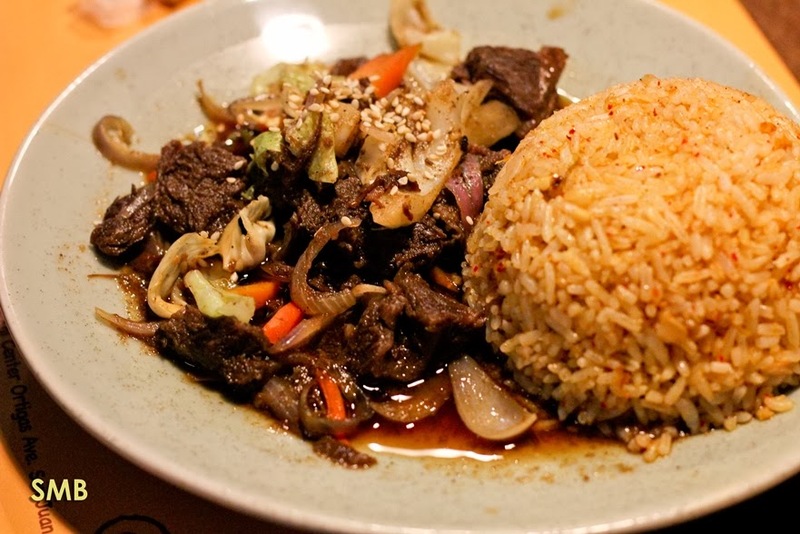 Beef stew with Kimchi rice is one of my recommended dishes for those who love beef, kimchi, and spicy flavors. The sauce of the stew is perfect with the rice, combined with few veggies. I guess Café Monaco has perfected making kimchi rice already, it’s just so darn good. 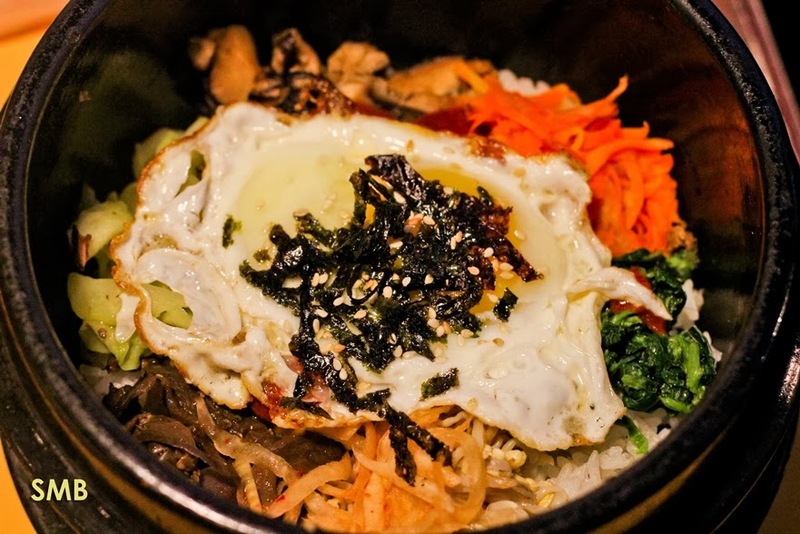 One of Café Monaco’s most ordered dish, the bibimbap, is my favorite. I always order it with the spicy sauce because it’s what makes it special. I have tried to eat one without, it was still good, but not superb, might be different experience for those who aren’t much into spicy food. It’s always a joy to mix a piping hot bibimbap. It really is so wonderful – combining the taste of rice, gochujang, and the different vegetables included might not sound appetizing, but trust me, it really is good. 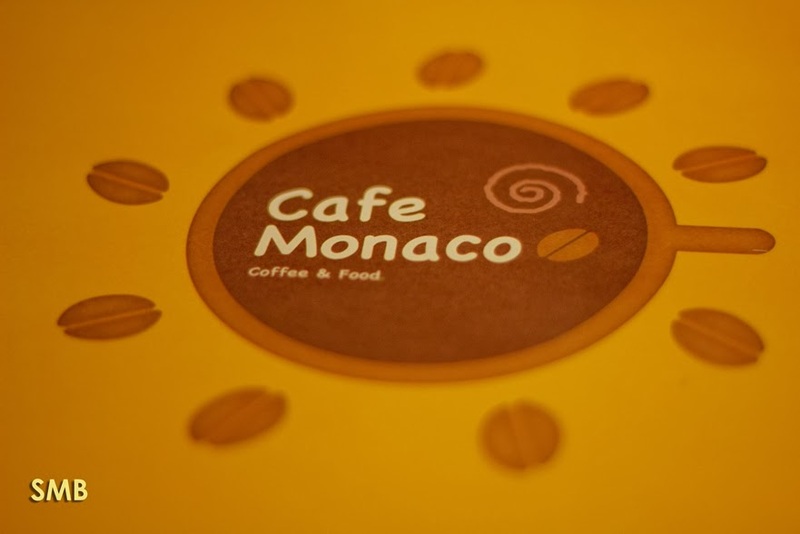 I have tried lots of bibimbaps in Manila, even in Korea, but Café Monaco’s tops them all. This dish is what keeps me coming back to Banawe. The restaurant also offers lots of lovely desserts, crepes are one of the crowd favorites, but we would usually order the Café Monaco’s Fruit Halo Halo. 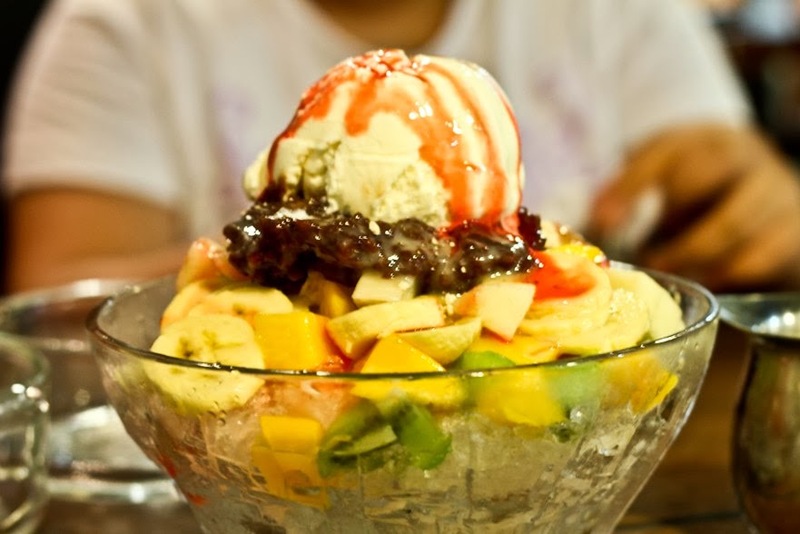 My family loves halo halo so ordering this for them is a no brainer. They love munching on the ice while I wolf down the ice cream. The fruits are nice to wash off the kimchi taste. Perfect dessert after having spicy Korean food. Accessibility/Location: 4 – I live in Northern part of Manila, but I still find Banawe hard to reach! Well, Banawe is not the most accessible part of Quezon City anyway. Ambiance/Staff: 4 - The staff visible to me are only the cashier and waiter and it can get very busy during peak hours. What I love about the staff is they are very attentive to the customer’s needs and are very friendly. Food: 5 – YES! I loved everything I’ve tried here! Nothing more to say, just awesome tummy experience! 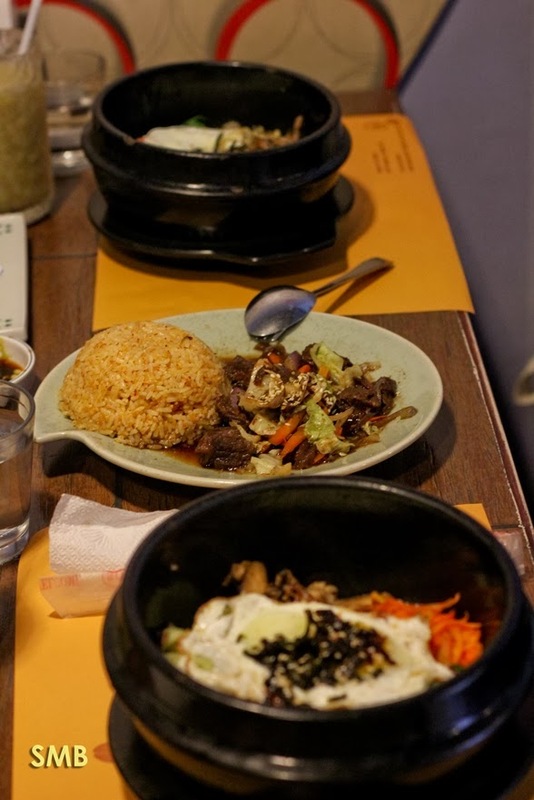 Price: 5 – Heck, this restaurant beats every mom and pop Korean and Japanese resto out there that offers the same menu. I really am obsessed with Café Monaco and it’s on my foodie bucket list to be able to try everything on their menu. I can’t believe how often I repeated the word favorite on this post, but yes, it is indeed one of my favorite places in Quezon City. They have the most affordable grubs here which is one of the reason I keep on coming back. And don’t forget how lovely the food is! 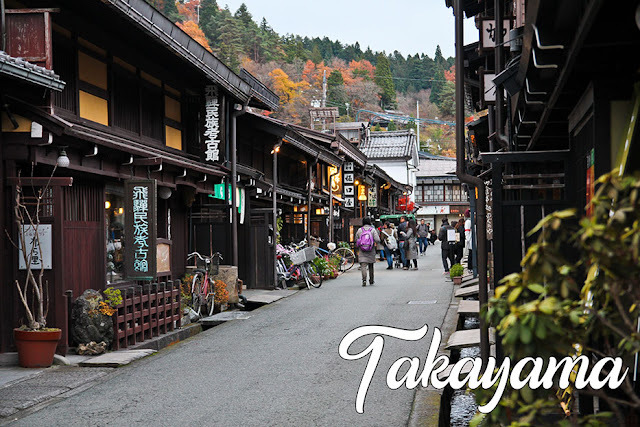 Hayyyy writing this post makes me want to go there today! From MRT: Alight at Quezon Avenue, take a bus or jeepney heading for Banawe Street ( and alight at Banawe Street. Take another jeep bound for Del Monte QC and ask to drop you off at the second BDO branch in the area. BDO is just right across Café Monaco. From LRT: Alight at 5th Avenue station and walk for about 10-20 minutes to the direction heading to Araneta Ave and you will see jeepneys heading for Sgt. Rivera. Ask to be dropped off at Banawe Street. From there, you may walk until you reach Café Monaco around for 20 minutes or take a trike. Alternatively, you can just take a tricycle from 5th Ave, fare may reach from 50-60 pesos. Everything looks delish especially the big extravagant bowl of halo halo! I'll definitely try this when in the area.